We are proud to announce that March for Science NYC is officially a legal nonprofit! We are very excited to be able to kick-off our relationship with our community by hosting not just a march, but a Celebration of Science on Earth Day, April 22, 2017! We want our event to be a showcase to everyone in our city, state, and the entire country that New Yorkers LOVE science!! We will be releasing event details in the first week of April, so please continue to check out our website for the most up to date information. In the meantime, read below to find out a bit more about us. Recent political events are beginning to inhibit the scientific process and people across America are deeply concerned about the impact this could have on public health, the environment and even really cool technological and engineering innovations. 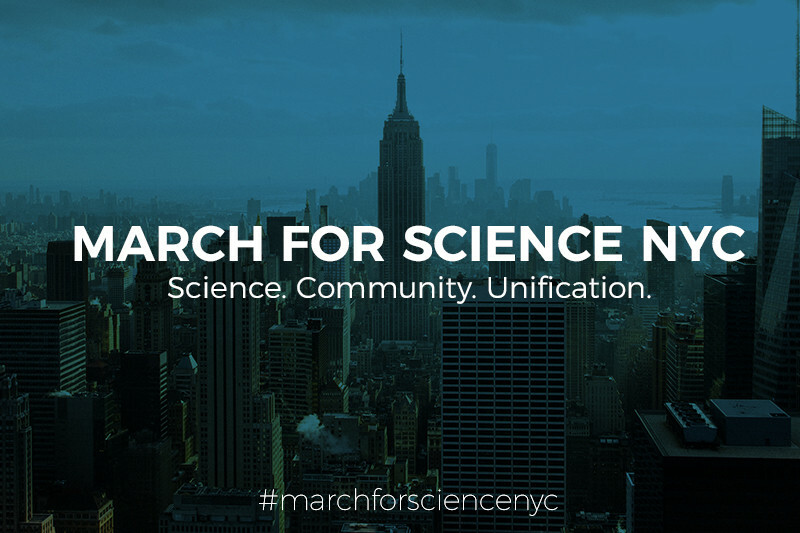 We believe that the scientific community can do and should be doing more to engage with our whole community, and we want to fix this problem through advocacy and outreach programs in our backyard and thus have formed the nonprofit March for Science NYC to do just that! In order to make March for Science NYC a success, we need to rely on the support and generosity of our community. Obtaining permits & insurance, renting equipment, potential tax liabilities, access to emergency medical bags, and setting up infrastructure as a nonprofit in our great city is not cheap! It's also important to note that all the March for Science sister marches operate independently of the National March for Science organization and do not receive any financial support from them. You can feel at ease knowing that as a legal nonprofit we are required to report where our money comes from and where it goes - so be assured that your donations will be used to fulfill our mission to our great city! Want to take a more active role ? Have any questions? Prefer to make an in-kind donation? March for Science NYC has officially been approved as a nonprofit organization by New York State!! Our next step is to pursue our 501c3 status through the IRS. We can’t guarantee that we will get approval to offer you a tax-deductible receipt for your monetary or in-kind donation at this time, but we CAN promise to all of you that all funds we receive will go directly to March for Science NYC, Inc - our march event on April 22, 2017, developing outreach programs, and supporting infrastructure of the organization. A very important event in our community!